A great multi purpose product; use as a cleansing oil at changing time or as a baby massage oil. Paraben free, made with certified organic olive oil and evening primrose oil. 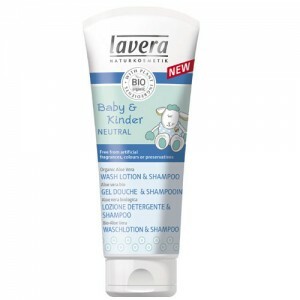 Un-fragranced & ideal for babies and children with allergies, eczema and extremely sensitive skin. A great multi purpose product; use as a cleansing oil at changing time or as a baby massage oil. Natural Jojoba and Almond oil gently cleanses babys bottom. Vegetable Canola oil prevents irritation and nappy rash. Babies and children love skin contact and gentle massages, the precious Evening Primrose Oil will provide allergic skin with the essential fatty acids (gamma linoleic acid), which it cannot produce itself. Vitamin E provides additional protection and nurturing care. The skin protecting formula (skin friendly ph level) has been specifically developed to minimise allergic reactions. For this reason, the skin oil contains no flower or herbal extracts and essential oils and can even be used for babies and children during homoeopathic treatment. 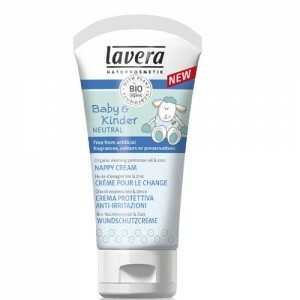 Use at changing time as a gentle cleanser or for baby massage. Usage tip: This skin protection oil is also a suitable massage oil for sensitive adult skin. 100% free of synthetic preservatives, synthetic colourants, or synthetic fragrance.